7 Weekly Winners will take home Shopping Voucher worth RM100 each. 1 Grand Prize Winner will drive home the new Persona E 1.6AT. 19 other Finalists will win Shopping Vouchers worth RM100 each. Register as a myStarjob member (registered members can proceed to Step 3). Upload your resume (Word or PDF format). 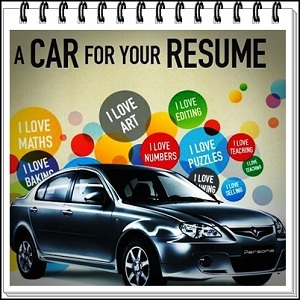 Visit myStarjob - A Car for Your Resume contest page for more details. 4 things Malaysians should know about their health. Check it out!